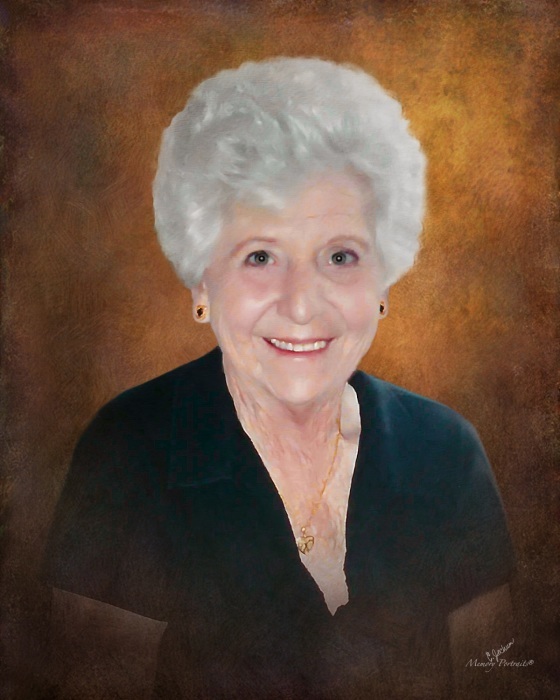 Joyce Leatherman Folger Rowley, 82, of Georgetown, TX, passed in to her Savior’s Arms on November 7, 2017 at Park Place Manor, Belton, TX. The sixth of seven daughters, Joyce was born November 27, 1934 in Stafford County, KS to Chester and Pansy Leatherman. Joyce attended Stafford County Schools and graduated from St. John High School in 1952. St. John was her home until 1965 when she moved to Hugoton, KS. In 1967 she married Wade Folger. He preceded her in death in 1980. In 1984 Joyce married Ralph Rowley and they made their home in Dodge City, KS. In 2003 they moved to Georgetown, TX. Ralph preceded her in death in 2014. From 1952 to 1967 Joyce worked as a journalist, working as a reporter, columnist and feature story writer for the St. John News and the Hugoton Hermes. From 1967 to 1972 she worked as a freelance writer and feature story writer. In 1972 Joyce was appointed Office Deputy and Communication Officer with the Sherriff’s Office in Stevens County, KS and later served as a Communication Officer with the Police Department in Liberal, KS. Joyce enjoyed her work in law enforcement and was a member and officer of several professional organizations. In 1975 she was named Dispatcher of the Year by the Southwestern Kansas Dispatchers Association. In 1979 Joyce moved to Dodge City, KS when she went to work for the State of Kansas as a Driver’s License Examiner. After serving as the Supervisor of the Dodge City Office, she retired in 1996. Joyce loved to sew and made many clothes for herself and her children, grandchildren and great-grandchildren. Additionally, Joyce enjoyed embroidering and made beautiful tablecloths, napkins, tea towels, sheets and pillow cases. Joyce loved to bake and deliver goodies to friends and neighbors. G-Ma’s cookie jar was always full. In addition to her husbands, Joyce was preceded in death by her sisters Darlene Bowden, Dona Smith, Berneda Magie and Bernice Shrum. She is survived by her sisters Betty Barker and husband Morton of Wichita, KS and Connie Ball and husband Larry of St. John, KS. She is also survived by daughters Terri (Lutz) Popejoy and Dan of Waco, TX; Tracey (Lutz) Nix and Rick of Flint, TX and Sandy (Folger) Dlugas and Steve of Temple, TX. Others surviving are six grandchildren: Liz (Popejoy) Gabel and David of Mechanicsburg, PA; Gia (Nix) Mason of Edmond, OK; Andy Popejoy and Vicki of Waco, TX; Josh Nix and Jana of White Oak, TX; and Caleb and Adam Dlugas of Temple, TX. Twelve great-grandchildren: Jake Araiza and Sam Gabel of Mechanicsburg, PA; Lexi and Cassie Mason of Edmond, OK; Jack, Katie, Beth and Isaac Popejoy of Waco, TX; Matthew Skalsky and Gladys of Dalhart, TX; Bryce Skalsky of Hartley, TX; and Darcey and Shelby Nix of White Oak, TX; and two great-great grandchildren. Joyce is also survived by 7 step-children: Mary Jane (Rowley) Clayton and Mark of Ault, CO; Jeff Rowley of Denver, CO; Margaret (Rowley) Henderson and Brad of Brush, CO; Agnes (Rowley) Gosselin and Ron of Topeka, KS; Nancy (Rowley) Williams of Topeka, KS; Roger Rowley of Brush, CO and Roxanne Rowley of Bozeman, MT. 13 Step Grand-Children: Briar Clayton, Bailey (Clayton) Wilson and Seth; Lathem Clayton; Jessica Henderson; Clarissa (Gosselin) Perez and Aaron; Conor Gosselin and Gladys; Caleb, Colin, Caden and Clark Gosselin; Emily, Keenan and Amber Williams. Nine step great-grandchildren and two step great-great grandchildren, Amilleo and Brynna. A Rosary Service will be held at the Gabriels Funeral Chapel, Georgetown, TX on November 15, 2017 at 7:00 p.m. A Memorial Service will be held at the Minnis Chapel, St. John, KS on November 17, 2017 at 2:00 p.m. Graveside Services will be held at the Hugoton Cemetery, Hugoton, KS on November 18, 2017 at 10:00 a.m. In lieu of flowers donations may be made to Kindred Hospice Foundation, Temple, TX.